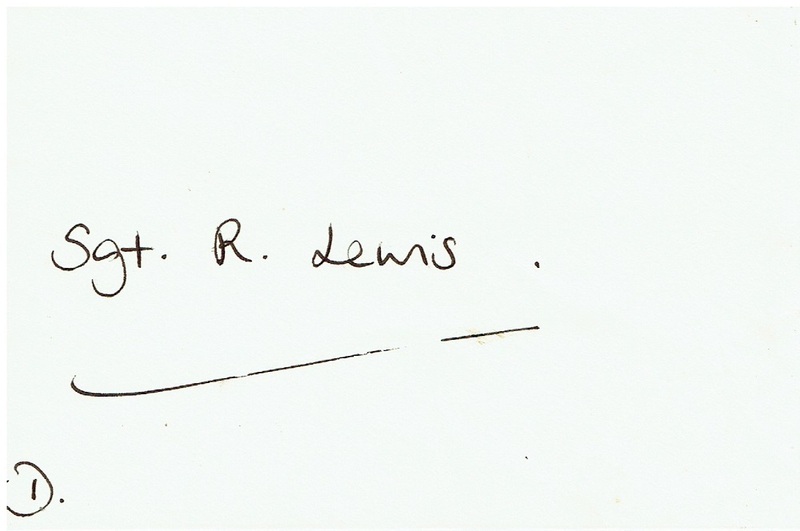 Princess Diana (1961 – 97) Hand written letter dated June 18th 1990, written to Sgt Lewis, a long term Royal Servant. 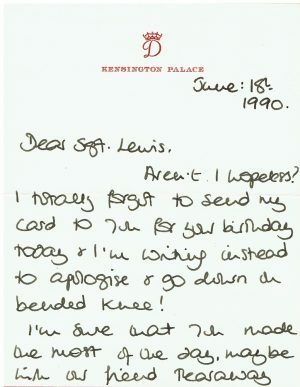 “Dear Sgt Lewis, Aren’t I hopeless?. 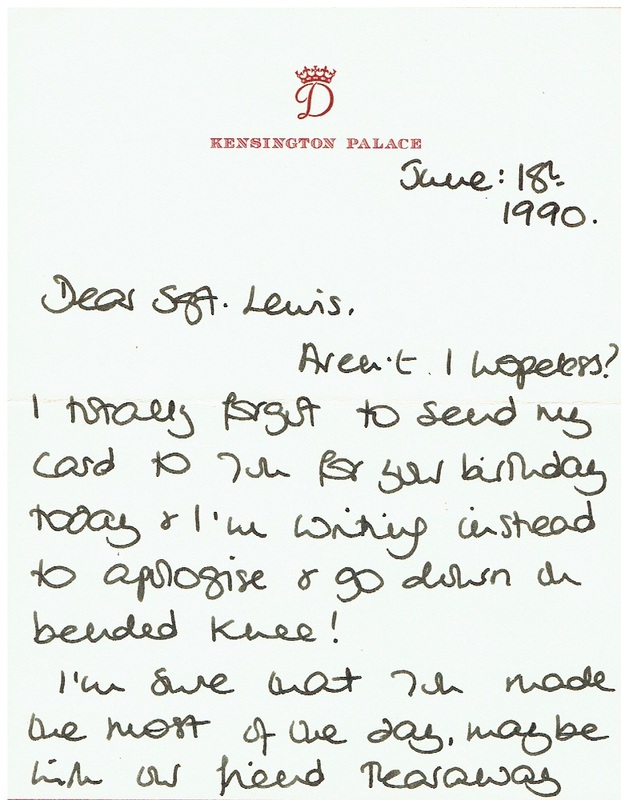 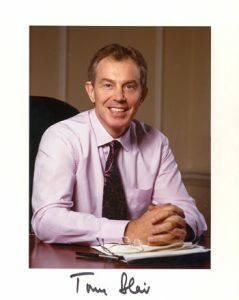 I totally forgot to send my card to you for your birthday today and I’m writing instead to apologise and go down on bended knee !. I’m sure that you made the most of the day, maybe with our friend tearaway Burrow. 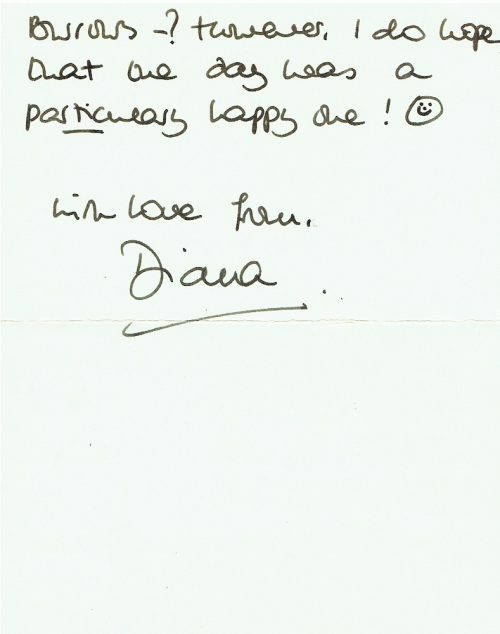 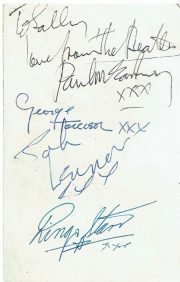 However, I do hope that the day was a particularly happy one !, with love from Diana” The letter comes with the original envelope, also hand written, on Kensington Palace Stationery.